Sometimes you end up buying something unexpectedly. This can occur anywhere, even (maybe especially?) at the NY State Fair – and fried cookie dough, fried oreos, and other atypically fried foods don’t really count as those are now expected at the fair. One of our neighbors mentioned that they bought a steam mop at the fair a couple of years ago. At this year’s fair, we even saw the steam mop display, but just walked on by. However, we did end up with an unexpected purchase from a different area of the fair – the poultry building. As the fair was more than half over, there were a number of chickens on display in the poultry building that were listed for sale. We ended up with 2 new black and white Wyandotte hens! The seller put them into a small wood and wire crate for transport. 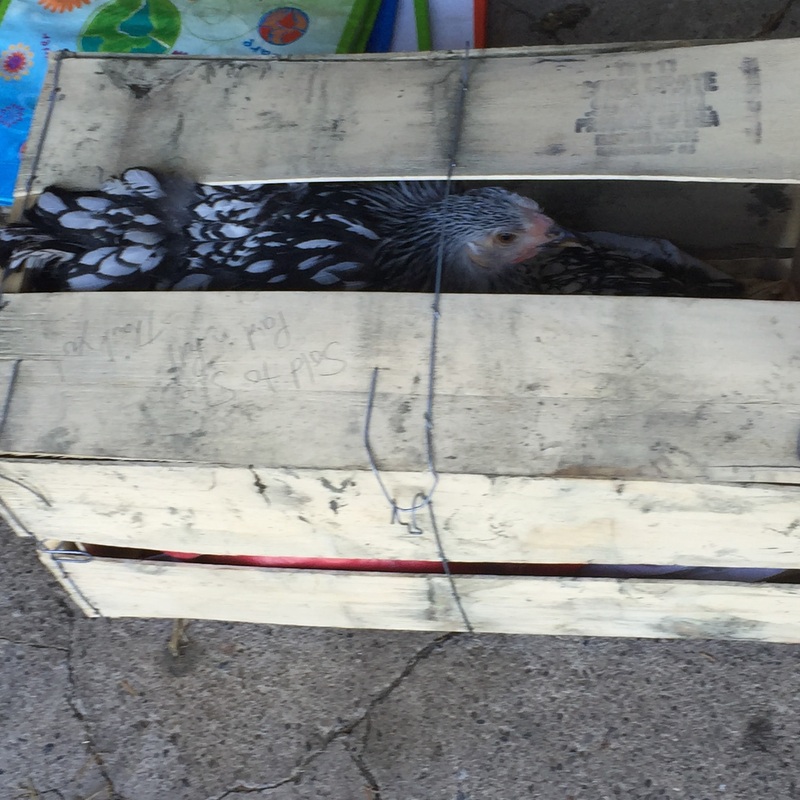 I actually just carried the crate with the hens in it right out of the fairgrounds. Although no one tried to stop us or verify the purchase, we did get a lot of strange looks from other fair-goers throughout the grounds and especially on the shuttle bus out to the parking lot. 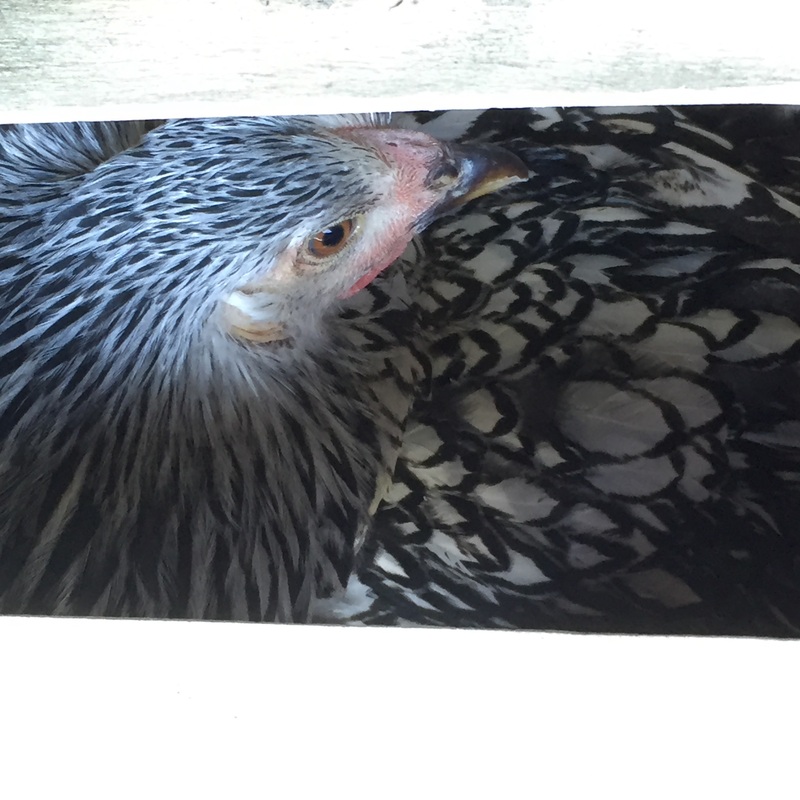 Two hens in a small crate. The crate was not very large for 2 hens and the hens kept trying to squeeze out of the gap in the top before we got home. Close-up of the hens in the crate. 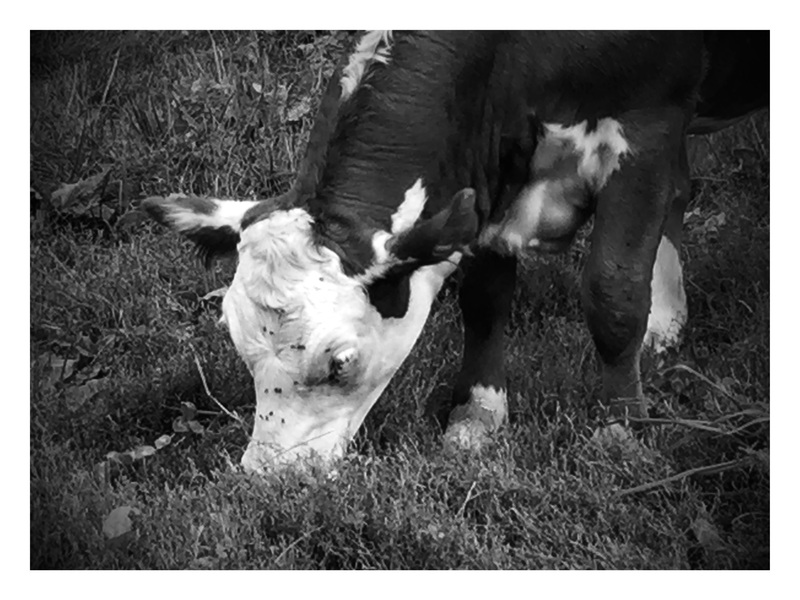 Loyal readers may remember Sunshine, one of the tenant cows that used our pasture during summer 2015. She gave birth to a calf, named Bert, in early summer 2016. Unfortunately, Sunshine rejected the calf and wouldn’t care for it. 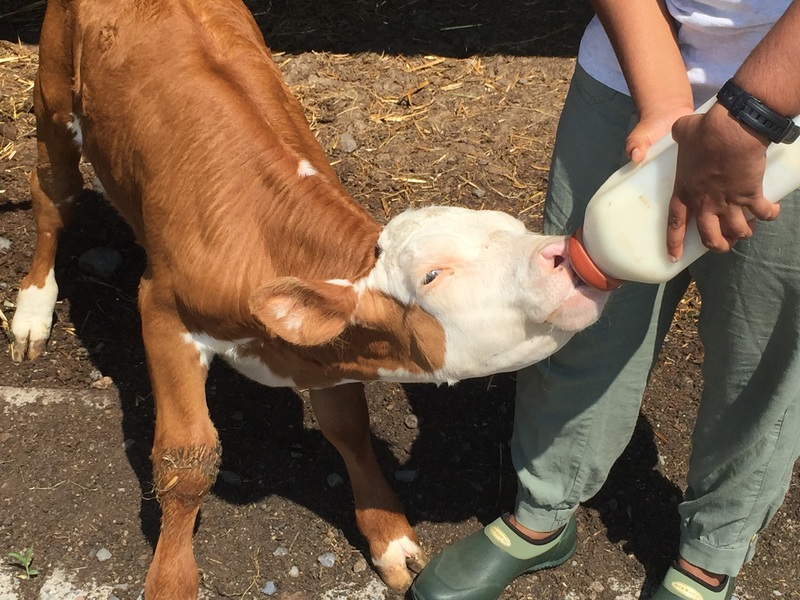 Other cows in the herd won’t take care of an abandoned calf so the calf needs to be hand raised to survive. We went to visit Bert at his home farm a couple of miles away. Our neighbor let us bottle feed Bert for one of his meals. Click through for more photos and videos of Bert.